SAS commits to support causes affecting our surrounding communities and nation. Currently, we support military service members and their families through donations and volunteer participation in various activities, as well as cancer families and research through multiple charitable foundations. In 2012, we formed a Comfort and Support Team made up of SAS volunteers ready to aid those in need of shoes, t-shirts, and most importantly, hearts led with compassion to help those in need get back on their feet when unforeseen disaster strikes. Comfort and support are equally as critical in the world around us as they are in the shoes we make. For that reason, SAS is involved in several philanthropic efforts to bring comfort and support to those who are suffering - whether from poverty or natural disaster. Today, more than ever, it's important that we put ourselves in someone else's shoes and realize we are all part of the same world. At SAS, we feel that every step we take toward that realization is a step in the right direction. When disaster strikes, SAS is ready to help. Our team personally visits disaster areas where we fit and provide those in need with new shoes. 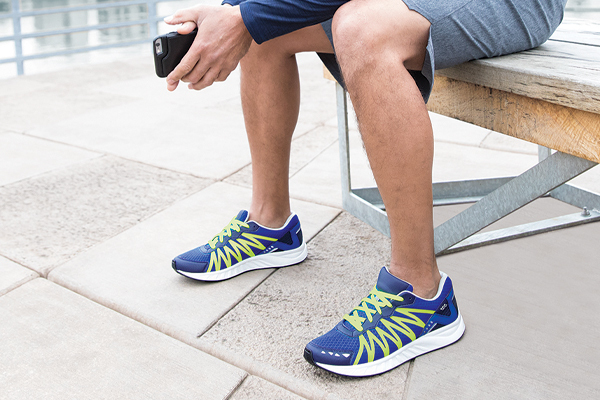 The SAS Comfort and Support Team gives more than just new shoes. A team of volunteers is ready with life's often taken for granted necessities like shoes, socks, bags, belts, T-shirts and most importantly, hearts filled with compassion for those who lost so much. To date, SAS has donated over 14,000 pairs of shoes and other necessities to victims of natural disaster. The footage in this video is from the 2016 Comfort and Support team visit to Eureka, MO after floods affected many homes and businesses in the area. SAS also cares deeply about our troops. We support the US military through various organizations such as Operation Homefront, and others that lend a helping hand to the brave men and women who protect our freedom, both past and present. 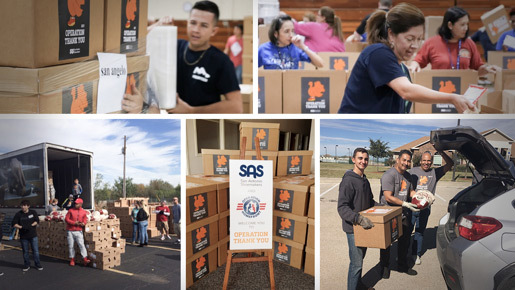 Every year SAS takes part in a program to feed military families in and around the Texas area during thanksgiving, providing, packing and distributing thousands of meals to be given out around the state. SAS is proud to support various organizations that help families of those affected with breast cancer or that contribute in some way to research to find a cure. We have partnered with QVC's "FFANY Shoes On Sale," contributing shoes to a program that donates 80% of each purchase to benefit breast cancer research and education. We also have created an exclusive Breast Cancer Awareness shoe and have contributed to Living Beyond Breast Cancer, a program that raises support and awareness for those affected by the disease. Today, more than ever, it's important we put ourselves in someone else's shoes and realize we are all part of the same world. At SAS, we feel that every step we take toward that realization is a step in the right direction. If you know of a worthy organization we should support, contact us at Customer Support.